Does your mom bake heavenly smelling cookies and hides them away lest you eat them all up? We’ll help you find the yummy cookies that are cleverly hidden in the secret corner of your house! Follow the sweet smell and unravel the mystery of cookies! 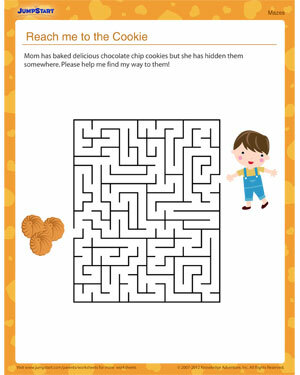 Download the free maze worksheet and have a go at the cookies!